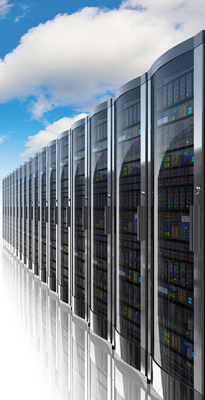 Cloud hosting is delivered from a cluster of multiple high specification servers. Cloud server hosting services has improved the process of individual installation of applications and is extremely proficient with one of its major features being scalability in the form of Memory, CPU and Bandwidth allocation, along with redundant SAN storages. Cloud hosting solution significantly reduces the overhead cost of server hardware and other applications, and it is appropriate for organizations that are planning to cut their costs for server hosting in India. In short, Cloud hosting servers that can also be defined as fully redundant and multi-server systems which are easily scalable and can be virtualized on demand. This Cloud service is ULTIMATE ITPL’s associate’s in-house developed technology on hardware virtualization platform. It is a patent pending advanced cloud computing technology that involves provisioning of dynamically auto scalable resources like CPU and RAM in a hardware virtualization server environment over the Internet. With its intelligent design, it can calculate the need for additional resources for a virtual machine or server and the need to withdraw them as and when not required, therefore providing a truly scalable environment for servers and cloud hosting. With cloud server hosting solutions in India; resources allocation, scalability and server upgrade or downgrade cycles are not tedious as it takes care of these seamlessly and adjusts resources in real time, eliminating the need of a server reboot. With resources dynamically allocated as per the server load, its intelligent Auto-Scaling cloud hosting technology recognizes when to allocate and de-allocate resources to a virtual machine (Server). You can deploy any number of virtual machines (servers) or eradicate them after use.